The event administrator has closed online registration for this event. Please sign-up in person at The Trackhouse. 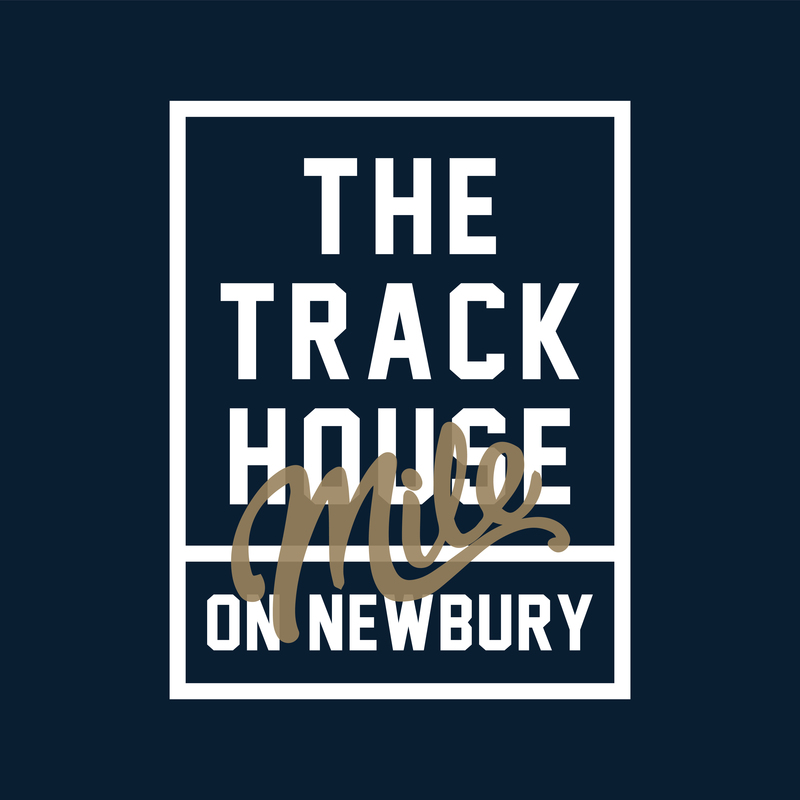 As part of Open Newbury Street on September 9th, the Trackhouse Mile (hosted by Tracksmith) will kick off the day’s festivities with the first-ever all-comers mile race on Newbury Street. There will be two heats - an open and a seeded heat - as well as a club competition within the seeded heat. The one mile race will begin outside the Trackhouse at 285 Newbury, run east down to Dartmouth Street, turn around west to Mass Ave and finish back at 285 Newbury Street. Prizes for the Top 3 Men and Women and the Top 3 Teams (team of 2 men and 2 women). The mile requires a knack for racing tactics. And often that means a perfectly timed kick. The Trackhouse Mile will reward the male and female runners who lay down the fastest last quarter with the title King and Queen of the Kick. So race accordingly. The team with the most runners win a roof deck party on an evening of their choice. Please specify which team you are on in the questions. Numbers will be available for pickup during store hours on Friday, September 7th and Saturday, September 8th. Limited number pick-up will be available on race-day from 8am-9am. Join us in a post-race celebration in the Eliot Lounge from 11-2pm. I know that running a road race is potentially hazardous activity, which could cause injury or death. I will not enter and participate unless I am medically able and properly trained, and by my signature, I certify that I am medically able to perform this event, and am in good health, and I am properly trained. I agree to abide by any decision of a race official relative to any aspect of my participation in this event, including the right of any official to deny or suspend my participation for any reason whatsoever. I attest that I have read the rules of the race and agree to abide by them. I assume all risks associated with running in this event, including but not limited to: falls, contact with other participants, the effects of the weather, including high heat and/or humidity, traffic and the conditions of the road, all such risks being known and appreciated by me. I understand that bicycles, skateboards, baby joggers, roller skates or roller blades, animals, and personal music players are not allowed in the race and I will abide by all race rules. Having read this waiver and knowing these facts and inconsideration of your accepting my entry, I, for myself and anyone entitled to act on my behalf, waive and release Tracksmith, the City of Boston, the organizers of Open Newbury St, the event organizers and all event sponsors, their representatives and successors from all claims or liabilities of any kind arising out of my participation in this event, even though that liability may arise out of negligence or carelessness on the part of the persons named in this waiver. I grant permission to all of the foregoing to use my photographs, motion pictures, recordings or any other record of this event for any legitimate purpose. The Race Director reserves the right to cancel or alter any part of the Trackhouse Mile. The Tracksmith staff will track weather as race-day approaches. Changes and/or cancellations may be appropriate to limit any undue risk to the participants or the greater community. Extreme heat, fog, lightning, high winds and/or heavy rain can lead our staff to make a decision to cancel or alter the event. Although highly unlikely, please understand that no refunds will be given in the unfortunate event of a race cancellation.